‘You know it’s fake, right?’ I cannot recall the number of people who have insulted my intelligence with this question as they blabber on about how much they loved the fight scene from the latest Marvel superhero movie. Yes, I am obviously aware it is fake; every soap opera/sitcom/thriller is fake too, everyone knows this, yet only a person’s love of professional wrestling is met with such a derogatory, demeaning reaction. But why? Wrestling is a certain level of realism in terms of the presentation and undoubtedly it is much more Made in Chelsea than Chelsea Football Club, but that’s all very, very clear from the outset, other than for most children, so why ruin their enjoyment also? Whilst on the point of children, why just because children tend to enjoy wrestling, does that make it seemingly exclusive for them? There’s much more on offer than just WWE and adult-centric promotions are available across the globe, especially in the UK and Japan with the likes of PROGRESS Wrestling, Insane Championship Wrestling and New Japan Pro Wrestling. Wrestling is something for everyone to enjoy, right across the board, so don’t let the negative stigma deter you from viewing. Anyway, back to the original realism thing, I don’t watch wrestling because I think it’s real and, of course, I fully understand that they ‘aren’t really hitting each other.’ If I want to see real fighting I can happily, as I often do, turn to MMA or boxing, but the actual in-ring wrestling is only a segment of what makes pro-wrestling so enjoyable. In fact, there is far more to the whole practice than just two wrestlers ‘fake punching one another in the ring.’ There’s an entire world of intricate on-screen intertwining and relationships that encapsulate the viewers each and every single night of the year. 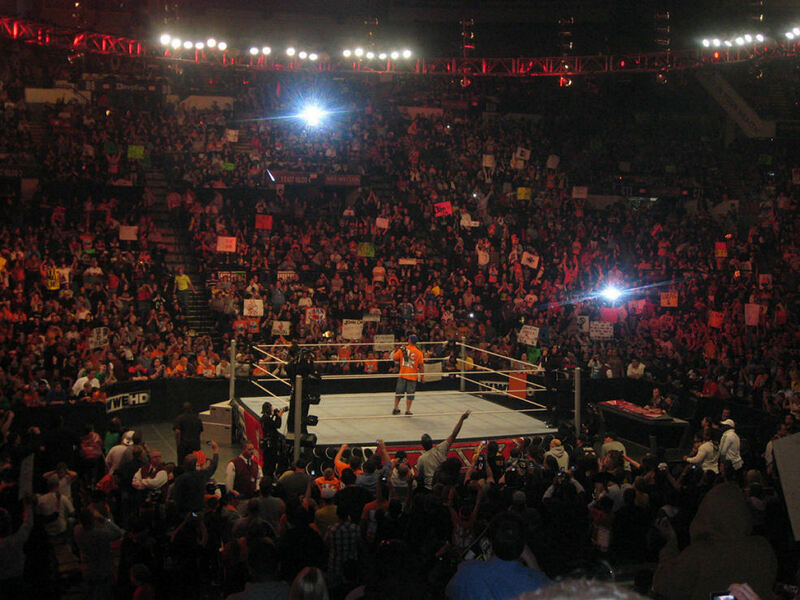 Personally, I watch wrestling for the drama and emotional investment in the larger-than-life characters, and for the spectacular feats and incredible matches that the athletes pull off; you see these things happen multiple times every single week of the year and I honestly don’t think I will ever get bored of it. The whole thing is just endlessly exciting to me. Sure, sometimes it has cheesy acting and sometimes it’s incredibly frustrating but the ride never ends with pro-wrestling and fans like myself adore it. And I’m certain that wrestlers themselves – many of whom work through incredible pain to allow the show to go on, or retire early due to the sheer strain such a business has on the body – would also appreciate people being less critical of their profession and passion. Take Seth Rollins for example. The man suffered a horrid knee injury recently after tearing his ACL to shreds back in 2015 and is more committed than anyone has ever been to get back in the WrestleMania. He’s the embodiment of what every wrestling fan knows and loves and deserves the respect of a wider audience too, rather than people dismissing his lifelong passion as a secondary activity. 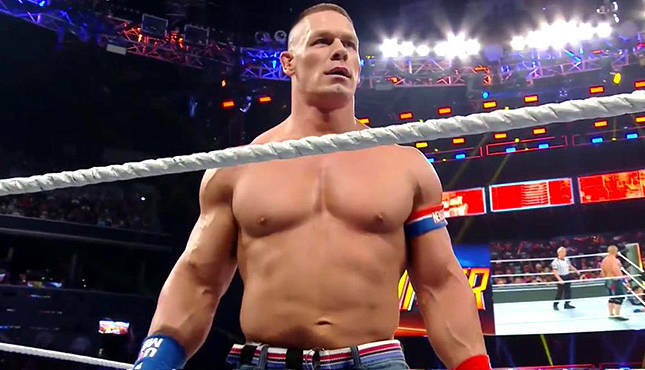 Or how about those incredible characters who have honed their craft for a lifetime of bruises, take the wonderful John Cena for example, who is currently spreading his eagle-like wings into television and film, as the wider-public warms to his seismic personality. Or Chris Jericho, the man has given blood, sweat, tears and 25 plus years into being the most entertaining man on our screens, day in, day out, just for us as fans to drink in. What a marvel of a man. There are way more layers to the entire industry than just the simple action within the squared circle and people are willing to commit their entire lives to get to where they want to be within their dream job, with great examples being Tyler Bate who is one of the youngest men to achieve his dream in the business, or Kenny Omega who turned down the biggest stage in order to become the very best, just as many in ‘real jobs’ would. If that isn’t something to get behind and commend, then I don’t know what is. So next time you’re chatting about your favourite soap storyline or how great Game of Thrones was last night, remember, none of it is real, it is all staged, and wrestling is no different, so please refrain from attacking our intelligence as we so-often do with yours.